The present work mainly studied the corrosion resistance and corrosion process of Mg–Gd–Y alloys casted by low-pressure sand casting and gravity die-casting methods. 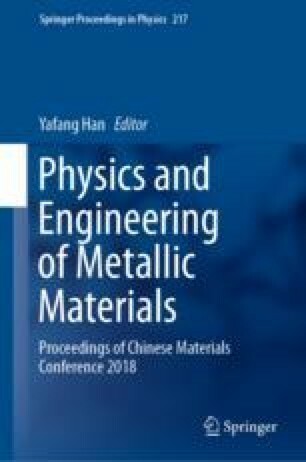 The results showed that the main corrosion type of the Mg–Gd–Y alloys was galvanic corrosion, which were formed by α-Mg matrix with Mg3 (Gd, Y) or, Mg5 (Gd, Y) particle phases. The particle phases in the low pressure sand casting alloys were mainly Mg5 (Gd, Y) phases, but Mg3 (Gd, Y) in the gravity die-casting alloys. The Mg5 (Gd, Y) phases dissolved into α-Mg matrix by solid solution treatment (T4), but due to their high melting points the Mg3 (Gd, Y) phases could not dissolve efficiently. So after T4 treatment, the particles in the low-pressure sand casting alloy decreased and then its corrosion resistance was greatly improved. However, there were still lots of residual particles in the gravity die-casting alloys after T4 treatment, so their corrosion resistance did not change obviously. This work is supported by the National Key R&D Program of China (2016YFB0301100), National Natural Science Foundation of China (NSFC) (51504052), Chongqing Special key technology innovation of key industries (cstc2017zdcy-zdzxX0006) and Chongqing technological innovation and application demonstration (cstc2018jszx-cyzdx0082).